B.P.Ed Admission 2019-20 Rajasthan and M.P.Ed Admission 2019-20 Rajasthan are done through entrance exam. Rajasthan University B.P.Ed / M.P.ED Admission 2019 is being organized by Rajasthan University. Appear in Rajasthan University B.P.Ed / M.P.ED Admission Entrance Exam and get admission in colleges in Rajasthan. Application form for the Pre.B.P.Ed 2019 has been started. Candidates can fill the form from the official website of through the direct link of this page. 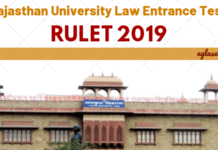 Candidates can check the complete information of Rajasthan University Pre B.P.Ed / M.P.ED Admission 2019 application process, eligibility criteria, admit card, result on this page. 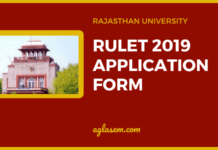 Latest: The application form for Rajasthan University Pre B.P.Ed Admission 2019 is available now. Scroll down to fill the same. Entrance Test for 2 years each B.P.Ed and M.P.Ed is conducted as per schedule mention below. 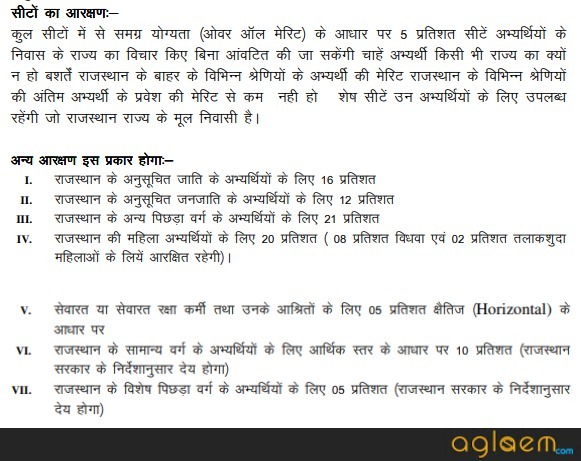 Rajasthan University has announced the details of Pre.B.P.Ed. Interested candidates can apply online. Before applying, candidates must ensure their eligibility. Application Form for admission into Pre B.P.Ed courses for this session 2019-20 can be filled online from here. Candidates are instructed to check their eligibility and other conditions before filling the application online. Candidates can fill their application from the direct link provided below. Application Form must be filled on or before its last date to fill it. Rajasthan University will publish the Answer keys for the Examination. Candidates are advised to carefully cross-check the Answer keys and question paper set in order to get the correct idea about the total marks. Answer Key will be released according to set wise. Candidates must check first which his / her set then check their answers with the official answers. 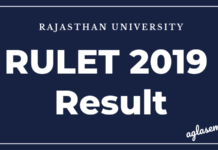 Rajasthan University will release the Result of the exam. The Result for Entrance Exam will be announced online on the official website. Candidates have to visit the official website to check the result. Candidates can check their result by entering the roll number in the asked field. After entering the roll number, the result will be displayed on your screen. Insofar, only Pre B.P.Ed Admission 2019 official information has released yet. Rest of the information on this page is as per the last year information and for reference purpose only. As soon as the rest of the information will release, the same will be updated here. hey there the counseling will be starting soon. Till now there is no official notice regarding m.p.ed counselling only the dates for B.p.ed are available. abhi toh application form fill ho rhe hai exam hone m tym hai abhi.